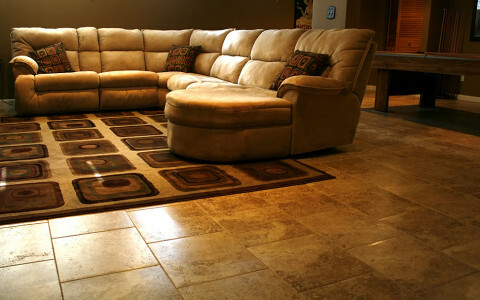 Tile and stone floors add natural beauty and sophistication to your home or office. Discerning home and business owners choose natural stone floors for their timeless qualities of beauty, durability, and strength. Top architects and builders have always held natural stone in high regard, and it has been used in the world’s oldest and most recognizable buildings. Natural stone will never go out of style. Formed deep in the earth over millions of years, each stone has a unique texture, color, and pattern. 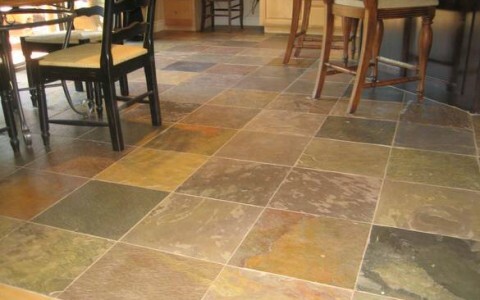 Natural variations in the stone add interest, appeal, and a custom look to your space. Over the years, as mining procedures have improved, natural stone has become more affordable. Stone floors are naturally non-toxic, and they last a lifetime. They require little maintenance, and they age beautifully adding real value to any home or office. Marble is a timeless choice that infuses an air of exclusivity and sophistication to your home or office. 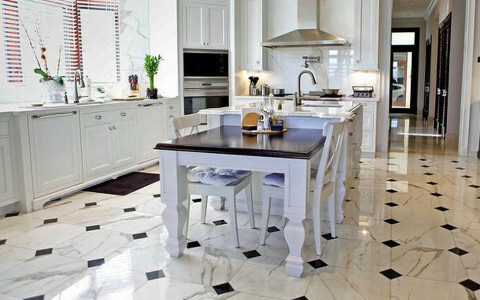 From ancient history to modern times, builders have used marble to add beauty and inspire awe in their buildings. Marble is available in a variety of earthy, natural hues veined with rivulets of subtle colors. Formed over millions of years, marble is actually recrystallized limestone that has changed due to intense heat and pressure. No two pieces are the same. 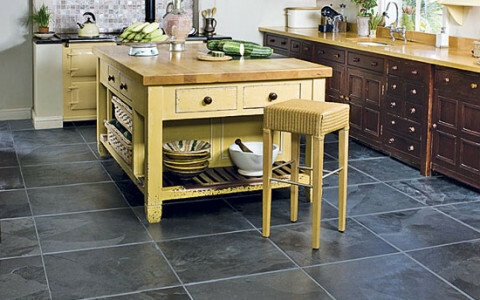 Slate adds interest to your space with its brilliant colors and varied texture. It is a classic and sophisticated choice for the home or office that will last for generations. Slate is formed over millions of years from a process called metamorphism: when sedimentary rocks undergo heat and pressure. Some slate even has tiny fossils and sea creatures in it. Ceramic tiles are composed of natural clay found in the earth. The clay is fired at high temperatures, forming tiles of varying finishes, colors, and surfaces to add interest to your floors. 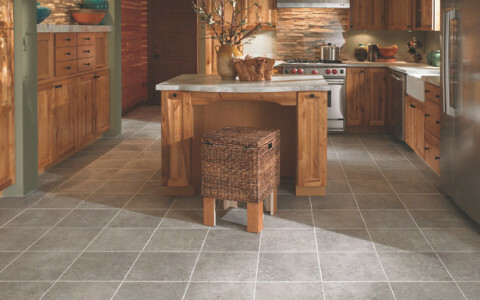 Porcelain tile, made of highly refined white clay, is a popular choice for hard working areas. Porcelain is extremely durable and water and frost resistant, making it a smart choice for freeze-thaw conditions or high traffic areas. Porcelain is very easy to clean with a wet mop. For increased traction, porcelain tiles can have special, variegated finishes. 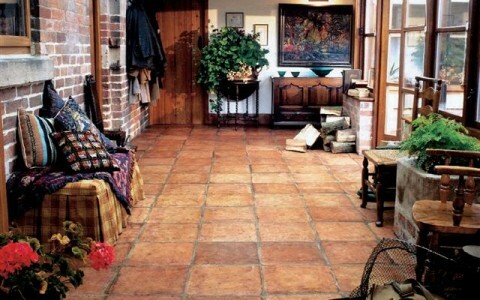 Terra-cotta tile adds Old World warmth and nostalgia to any space. The classic material adds natural variation and interest to the room. The downside to terra-cotta is that it is less durable than other tiles because it is less dense. In the Chicago-land area, terra-cotta can only be used indoors, as it cannot withstand freezing temperatures. 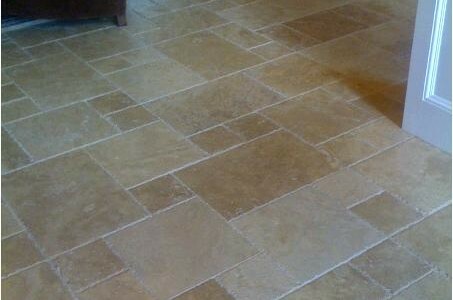 Travertine tiles are formed from limestone. Because they are a natural stone with differing colors and patterns, home and business owners choose travertine tile to add character and a custom feel to their spaces-especially in bathrooms. Travertine is porous, but if it is sealed correctly, it will perform well in bathrooms and other spaces where moisture may be present. 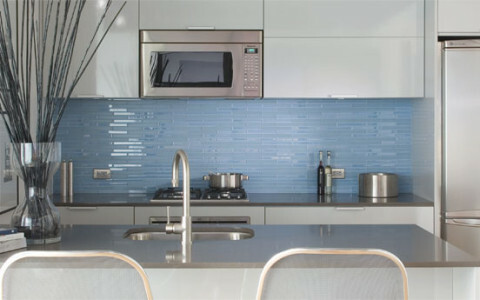 Glass and mosaic tiles allow you to harness the beauty of light and color to add style and interest to any space-especially the bathroom and back splashes in the kitchen or an accent wall in an office space. 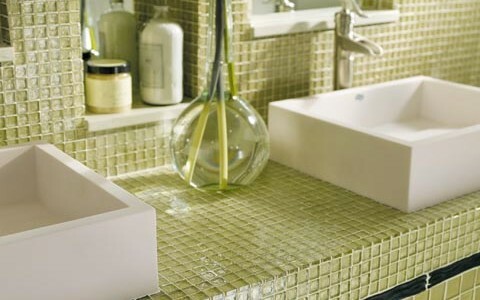 Glass and mosaic tiles add sophistication and creativity to your space. 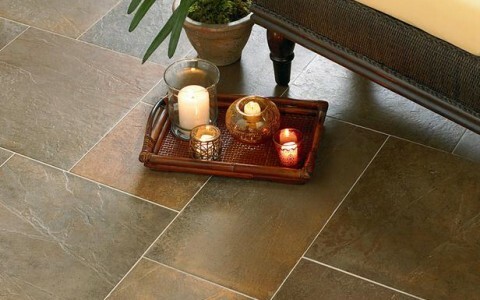 Add natural beauty to any room with pebble stone tiles. 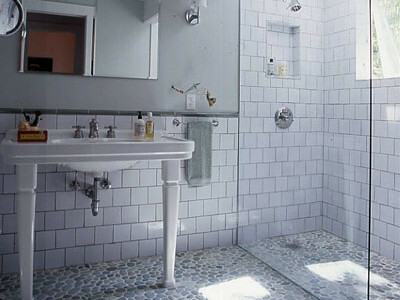 The tiles vary in color and texture, adding to the custom, natural feel of any space. Pebble stone tile is traditionally used in any interior/exterior projects such as bathroom flooring, shower surround, garden, paving, balcony, corridor, terrace, spa, pool, fountain, etc. 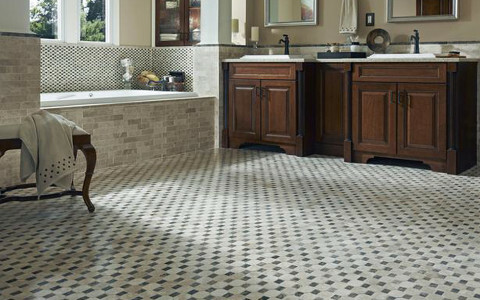 Trevino Flooring Co has been servicing the entire Chicagoland area for over 40 years! Enter your email to sign up for our customer loyalty program to receive maintenance tips and valuable discounts. 2014 © Trevino Flooring. ALL Rights Reserved.